When faced with those who act with impunity, we seek the protection of law. We rely upon the legal system for justice, from international human rights law that establishes common standards of protection, to international criminal law that spearheads efforts to end impunity for the most heinous atrocities. While legal processes are perceived to combat impunity, and despite the ready availability of the law, accountability often remains elusive. What if the law itself enables impunity? 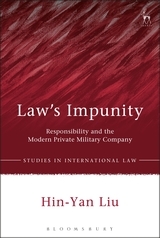 Law's Impunity asks this question in the context of the modern Private Military Company (PMC), examining the relationship between law and the concepts of responsibility and impunity. 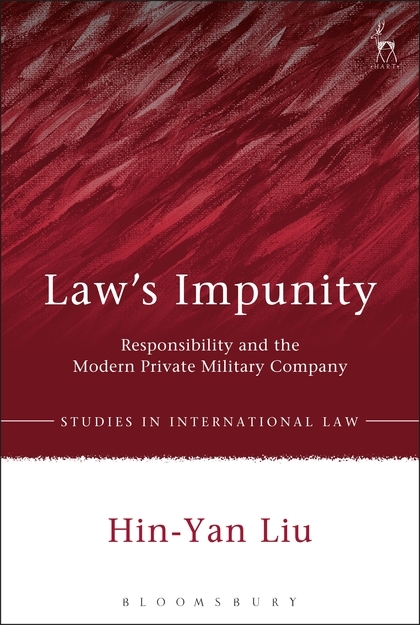 This book proposes that ordinary legal processes do not neutralise, but rather legalise impunity. This radical idea is applied to the abysmal record of human rights violations perpetrated by the modern PMC and the shocking absence of accountability. This book demonstrates how the law organises, rather than overcomes, impunity by detailing how the modern PMC exploits ordinary legal processes to systematically exclude itself from legal responsibility. Thus, Law's Impunity offers an alternative to conventional thinking about the law, providing an innovative approach to assess and refine the rigour of legal processes in the ongoing quest to end impunity.